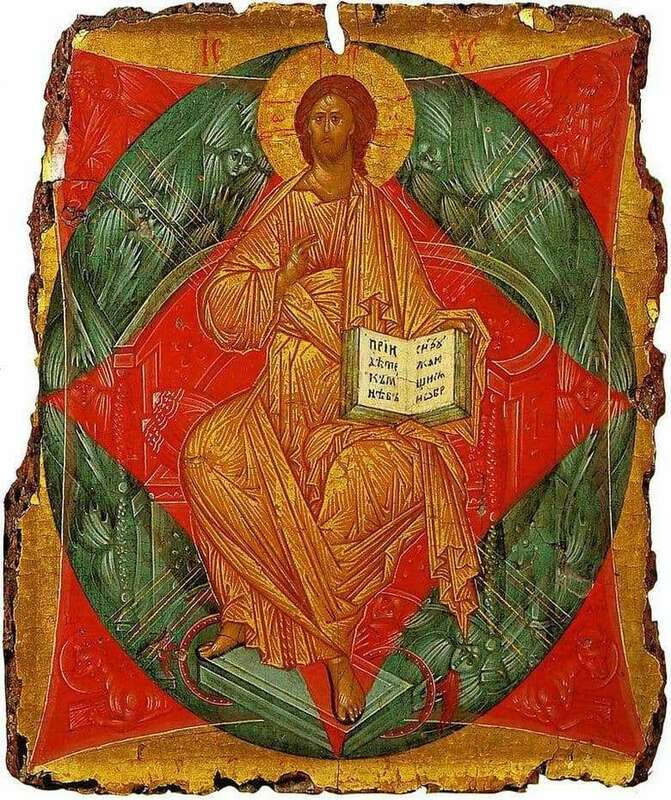 The icon “Savior in Power”, written by Andrey Rublev in 1408, is one of his most famous and mysterious works. The icon is made in the Byzantine style. Now she is in the Tretyakov Gallery (Moscow). Since Andrei Rublev was not only a talented artist, but also a monk, all his icons are filled with spiritual meaning and reverence for God. The image of “The Savior in Power” is filled with symbolism and deepest meaning. Jesus Christ, the lord of the visible and invisible world, is depicted in all his glory, surrounded by angelic heavenly powers. What explains the name of the icon. Thus, the holy prophets Ezekiel and John the Theologian saw the Lord in their wonderful visions. He blesses all life on earth with his right hand, and in his left hand he holds the book of life, where the names of all people who have reached the kingdom of heaven are written. They also interpret that this may be a book of the old and new testament or a book of revelations. Geometrical figures are located around the savior: the blue oval is a heavenly sphere, the mountain world of angels; the red square with the extended ends designates the earth; The red diamond symbolizes the fiery radiance of God’s glory. At the ends of the red square are animals symbolizing the four evangelists who preach the word of God around the world. The angel is the symbol of the Evangelist Matthew and denotes the incarnation of God in man. The lion is the symbol of Mark, identifying the royal authority of the Son of God. Taurus is a symbol of Luke and denotes the Savior’s sacrifice. The eagle is the symbol of John the Theologian and depicts a spiritual vision. The icon of the “Savior of Power” is prophetic. It displays the second coming of the Lord in all glory and majesty to judge all who live on earth.